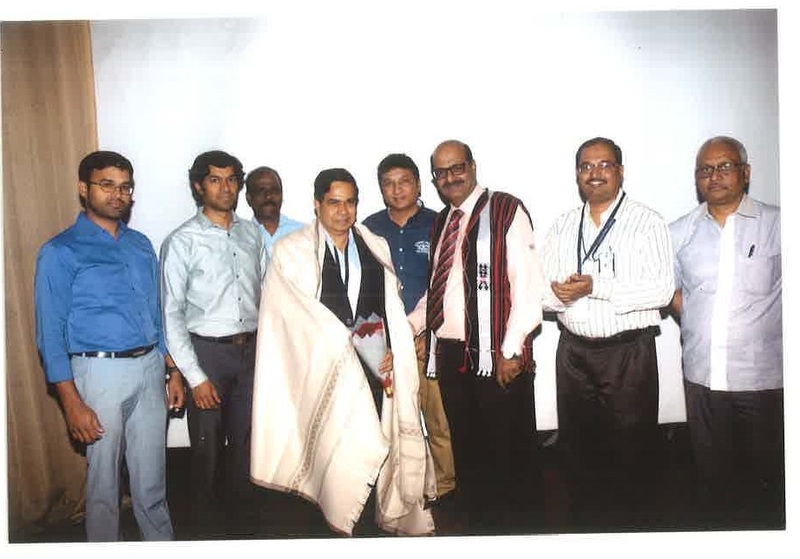 Best “MSME Customer of State Bank of Hyderabad” (Recieved from Sri. 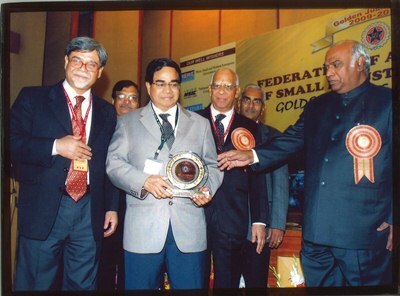 Mallikarjun Kharge, Cabinet Minister for Social Justice & Empowerment on the occasion of Golden Jubilee year 2009-2010, celebration of Federation of Association of Small Industries of India in Delhi). 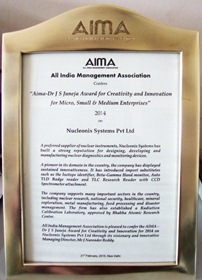 Recieved “AIMA-Dr.Juneja Award for Creativity and Innovation” in MSMEs at National level for the year 2014. 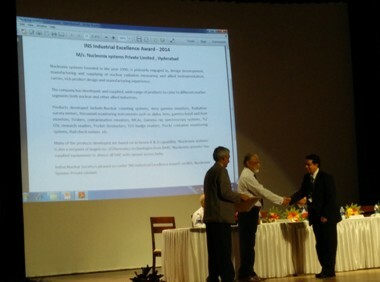 Recieved award, including Rs.50,000/- cash plus citation. 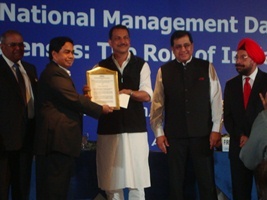 This award was presented by Mr.Rajeev Pratap Rudy, Minister of state (IC) of skill development & entrepreneurship government on 21st Feb, 2015 on 59th Foundation day & 9th National Management day in New Delhi. 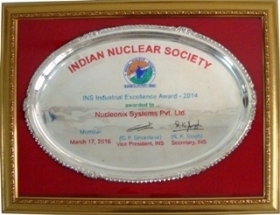 Nucleonix Systems recieved “INS Industrial Excellence Award” for the year 2014, during the 26th Annual Conference of Indian Nuclear Society (INSAC-2015) held at DAE convention centre, anushakti nagar, mumbai. 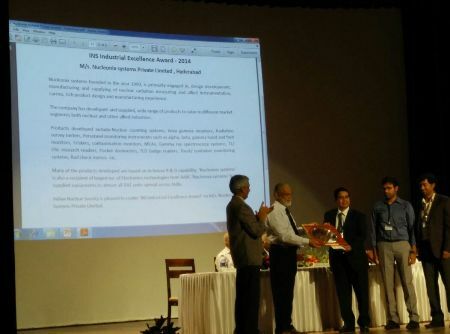 Award of given away by Dr.RadhaKrishnan,former chairman ISRO and secretary, dept of space, in the presence of Mr.K.N.Vyas, Director Bhabha Atomic Research Centre, Mumbai. 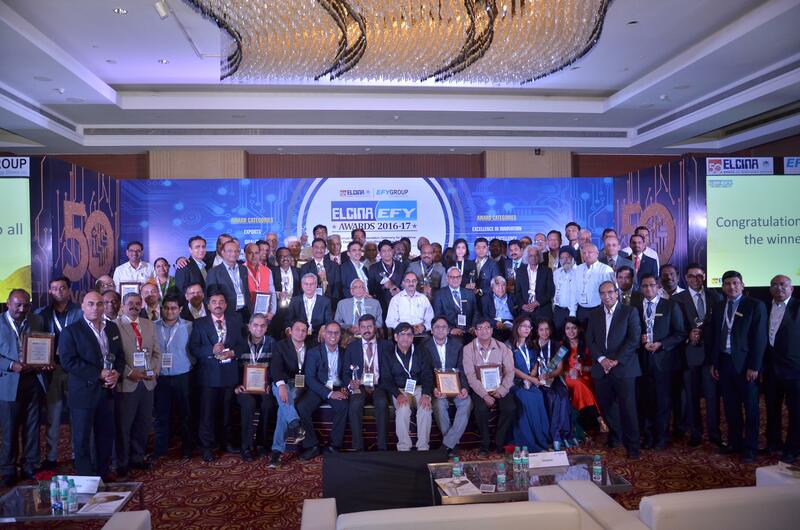 Mr.J.Narender Reddy, Founder and Managing Director received ‘Life Time Award’ from the ‘Luminescence Society of India’ a scientific forum which comprises of Scientist, working & doing research in the area of Luminescence. 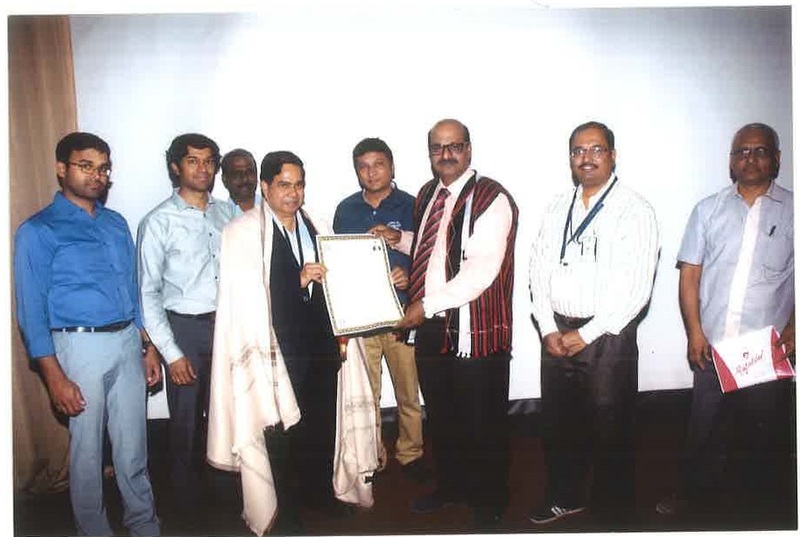 This award was presented by Dr.K.V.R. Murthy president of the Luminescence Society of India, during the General body meeting on 11th Jan, 2017 at Indian Institute of Chemical Technology IICT, Tarnaka. 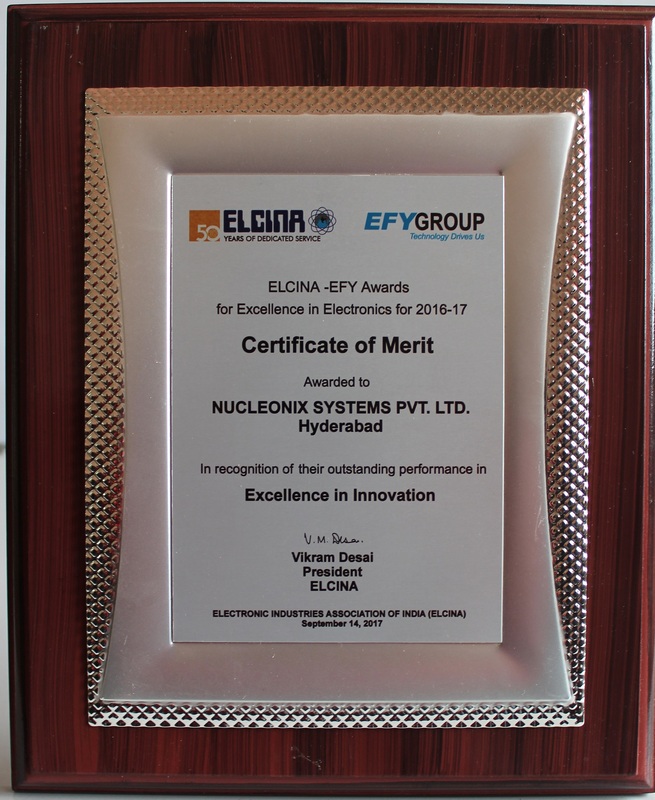 This Award was given in recognition of the contribution made for the development & Supply of TL & TL/OSL Instrumentation over two decades for the researchers in various National labs & Universities & also other services given by Nucleonix systems to LSI. 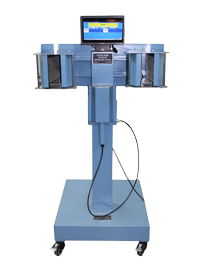 These equipment’s have helped the researchers in producing number of Research papers in International Journals and also many students got Ph.Ds by working with these equipments.Two more Ex- BARC Scientists namely Dr.M.D.Sastry and Dr. Jagtap also received Life Time awards on the same day. 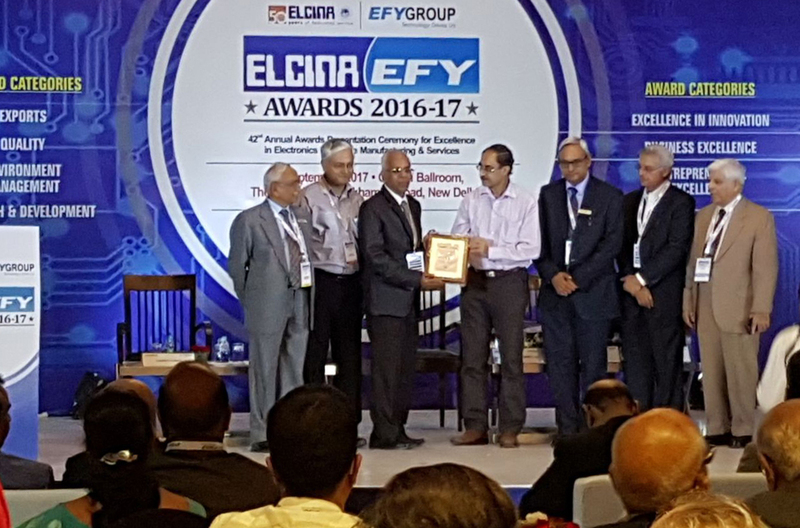 Nucleonix Systems (P) Ltd, Hyderabad received “Certificate of Merit”, during 42nd ELCINA – EFY Awards – 2016 – 17 function held in Delhi on 14th Sept – 2017.This award was given away by Mr Ajay Prakash Sawhney, Secretary, Ministry of Electronics & IT (Meity), Govt of India. 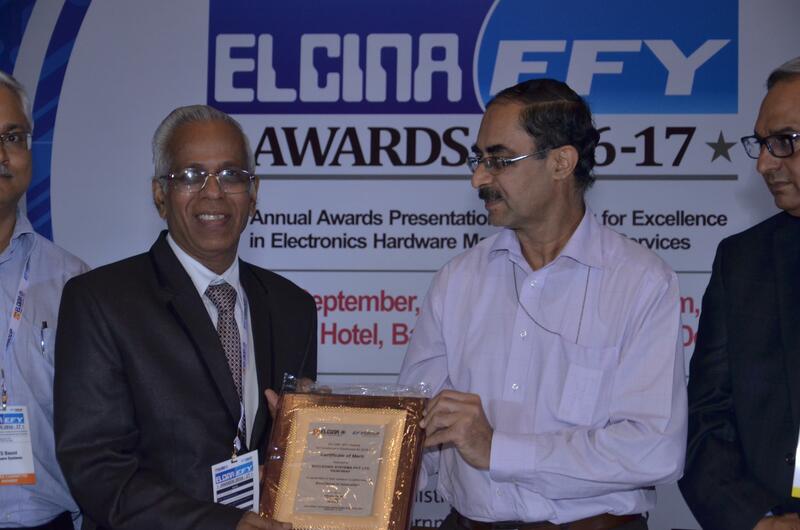 This award was received by Dr.M.S.R.Murthy General Manager, on behalf of the company. 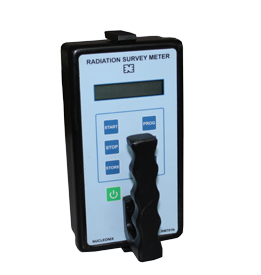 This company has been recognized for its Contribution towards enabling Self reliance in the field of Nuclear Instrumentation over a period of more than 25 years by developing and supplying various instruments for measurement of nuclear radiation parameters of Alpha, Beta, Game and Neutron radiations.